Please don’t think of cabin fever as a bad thing. 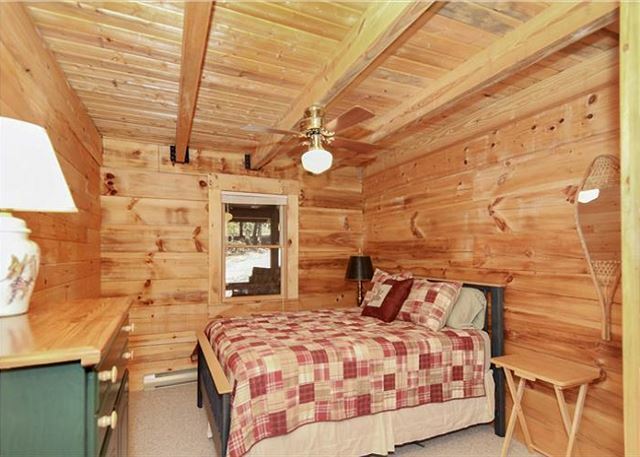 In the case of Everwood Cabin being inside for a prolonged period of time might be downright amazing! 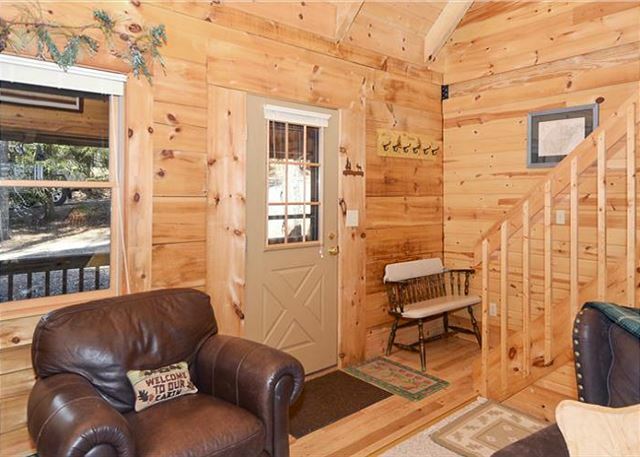 This lovely 2-story cottage offers all the comforts of home in a private wooded setting. 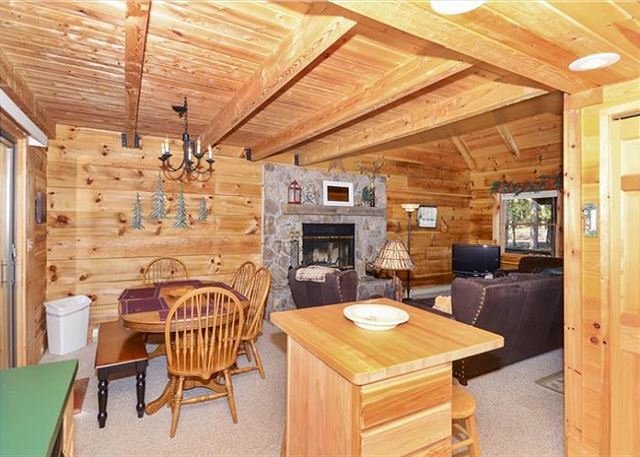 Cuddle by the wood burning fireplace and enjoy the convenience of WIFI and cable TV. The fully-equipped kitchen makes it easy to prepare a romantic dinner for two or gather the gang for a hearty fare. No worries if the fever feels a little too hot...Mother Nature abounds on the other side of the door. The night sky will be brilliant when viewed from the outdoor hot tub. 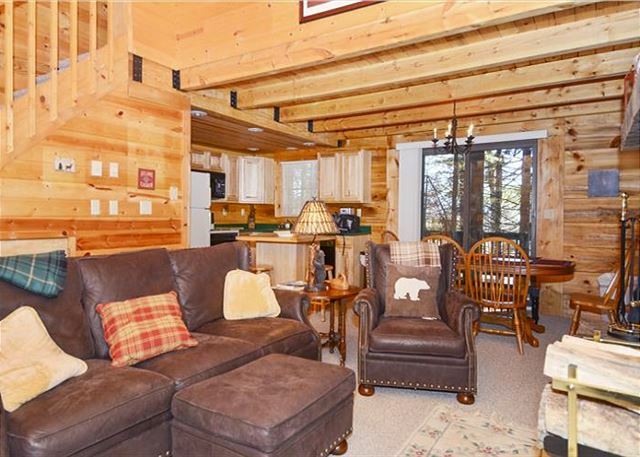 Everwood Cabin offers a great central location and an easy drive to Blackwater Falls, Canaan Resort and Timberline. Reserve online or call for more information on planning a perfect Canaan Valley getaway. Met our dear friends for our annual get together. Had a wonderful time exploring the area and being snowed in for 24 hours, cozy and warm with a fire and a hot tub. The only down side was getting stuck in the gravel driveway due to snow and ice. Really need a 4W drive if the weather is sketchy. Perfect cabin tucked away in the woods. We loved our stay in this cabin. We loved the fireplace with all the wood we wanted since the weather turned cold during our stay. Cabin is nestled with other cabins on a lane off hwy. Backyard backs up to hwy. cabin is close to Blackwater Falls. A must see. Cabin was wonderful. Exactly what I wanted. Definitely worth the money spent. It was very clean, and overall a great time. Thank you so much. Very enjoyable place to stay. Had everything we needed, and was clean and comfortable. We loved having the wood-burning fireplace for those frigid nights. Very friendly staff with check-in and check-out. Would definitely stay again! We enjoyed our stay at Everwood cabin very much. The fire wood was well stocked, there were plenty of clean soft towels, and the hot tub was ready upon our arrival and very relaxing. The cabin was very clean and cozy and we would definitely come back again. My experience at Everwood Cabin was wonderful. I had read some bad reviews after booking the cabin but I didn't find anything wrong that would have made my stay anything other than relaxing and restful. Note that I stayed here during Thanksgiving break so the weather was colder. If you've ever lived in the country or the middle of the woods you know well that field mice work their ways into these types of homes. While I didn't see any mice I was greeted by mouse droppings in the morning. These were located in the utensil draws and on the countertop. I simply washed the utensils before I used them and wiped the counter down with a disinfecting wipe. The utilities work fine. The fireplace is in good shape and provided me with the opportunity for a 24/7 fire. There was very little wood when I arrived so I called the Best of Canaan rental agency. I had a truck load of dry, split firewood within 30 minutes. The staff were wonderful. Very respectful, helpful, and willing to do whatever it took to make my stay everything I hoped it would be. My only disappointments were that the shower didn't have the best water pressure and that I couldn't take my dog. These issues would not prevent me from staying again. 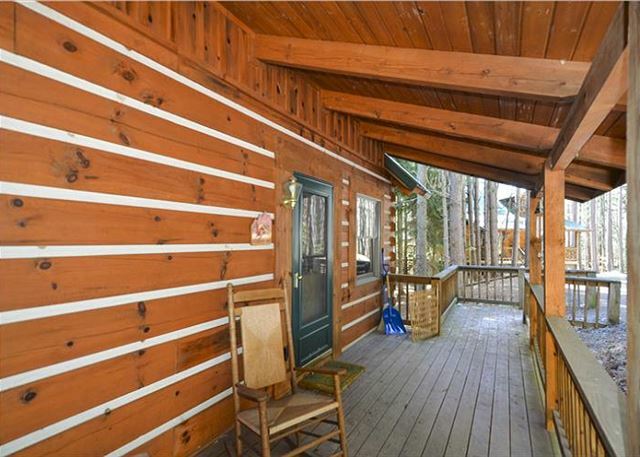 In fact, I plan on renting this same cabin again. 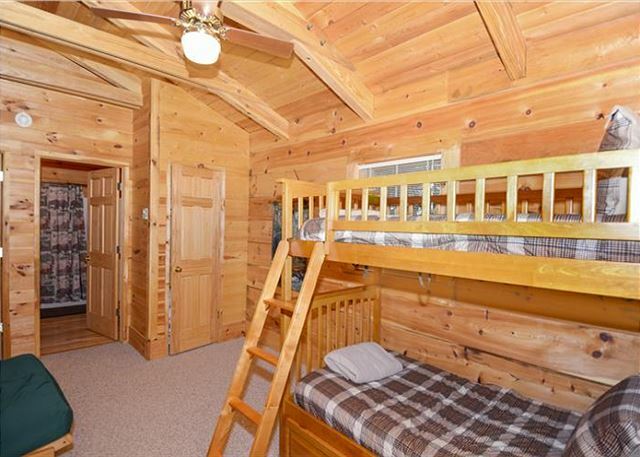 I would recommend this cabin to anyone I know. It provided me with the best 4 days of relaxation that I have had in a long time. Great wireless internet. I took my Roku with me and had no problems with buffering. Clean, cozy and comfortable. We thoroughly enjoyed our week at Everwood Cabin. It was peaceful, and provided us the opportunity rest and disconnect from our busy lives. We loved sitting on the front porch with our morning coffee, and relaxing on the back deck with a glass of wine in the evenings. The cabin is well-appointed, and had nearly everything we needed (would just recommend adding a pitcher & tea kettle). We will definitely return! Best Of Cannan was extremely courteous. The cabin was perfect. Kitchen was well stocked. Furniture was very comfortable. Did experience some road noise when out on the back deck but was not a deal breaker by any means. Hot tub was clean and firewood was well stocked. Short drive to Davis for visits to local restaurants, breweries and shops. We will definitely be back. The cabin was very clean and comfortable. It had all of the amenities of home. We were sad when it was time to pack up, and would definitely stay there again. My only complaint is that the hot tub could be fixed up a little bit. Was a very nice cabin. Nice location for our riding trips on the hills and curved roads of West Virginia. The only thing we had a hard time finding a place for breakfast. Also, we didn't find out we had to do laundry before we left till we arrived to pick up our key. We are on vacation and didn't want to do laundry. Other cabins we have stayed in didn't require that. But we had good time and weather was good only one rainy day. 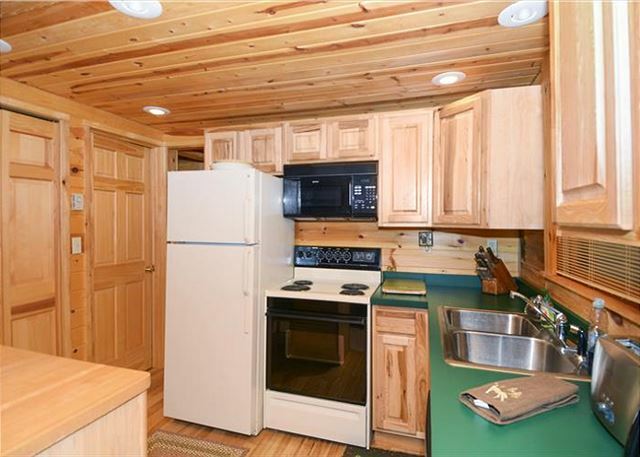 Great cabin feel with all the amenities! Overall the experience was great. 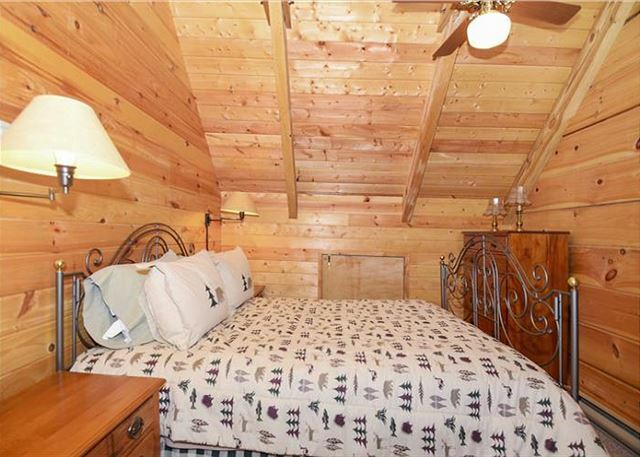 The cabin had a great layout, nicely stocked, and tucked away under the cover of tree canopy. Didn't seem like the baseboard heat zone in the family room worked. Would have been nice from a visual standpoint to have the roof over the porch cleared off (it was loaded with a layer of pine needles). May also want to consider repairing the wood slats on the Jacuzzi as the openings are larger enough to accommodate small creatures up to the size of a raccoon. Overall it was a great stay, though! Would rent this property again we liked it so much. 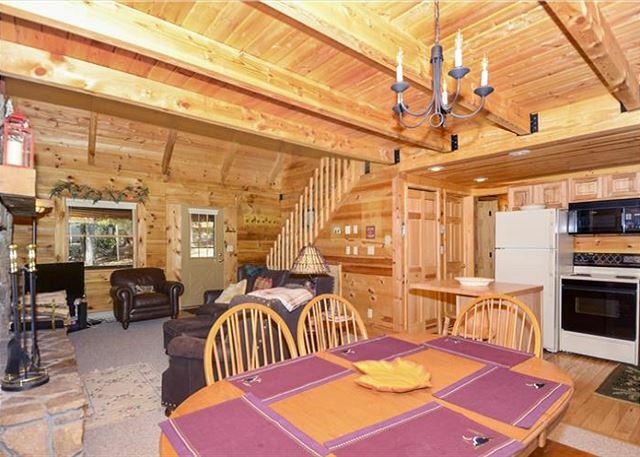 Beautiful cabin close to everything! 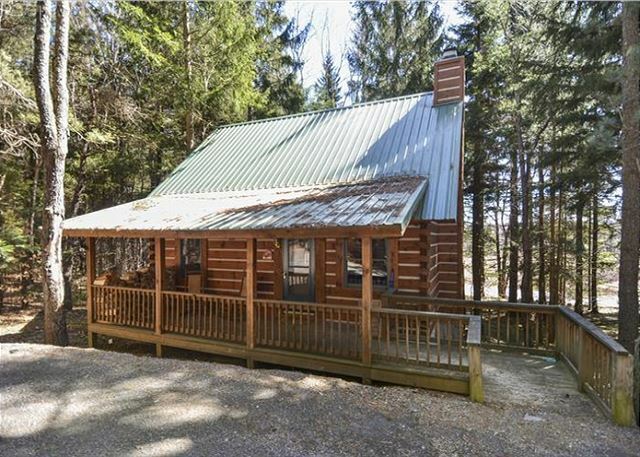 This is our second time renting this cabin. It is very nice and clean inside with everything you could need. the washer/dryer came in handy when getting muddy from mountain biking every day. Its located in a tree covered area so it doesn't get too hot in the summer. We enjoyed our stay in Davis, WV. The cabin was cozy and we enjoyed the tub. We just would like to make a suggestion to the owner to improve the curb appeal(e,g clean porch and power wash the deck) that was the only thing we we disappointed but when we get inside the house it was nice and cozy. 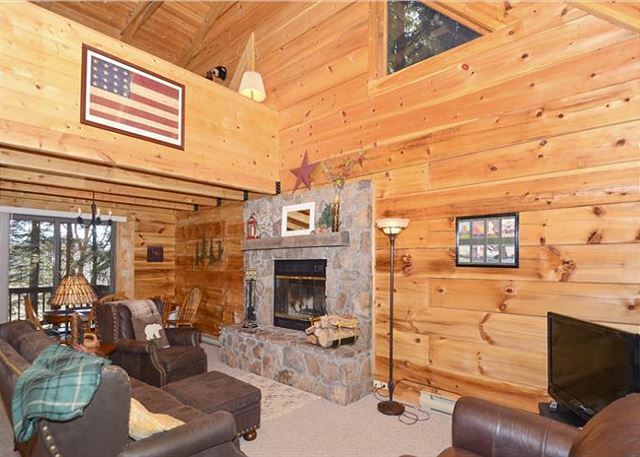 Beautiful cabin with an awesome fireplace! Everything worked great, appliances, furniture. Management had it well stocked with a few non perishable kitchen items, toiletries and fire wood. The only difficulty we had was to locate the correct cabin in the dark, the number is barely visible at night. So adding a little light to the number when guests are expected would fix that. The cabin is great, better than expected even! 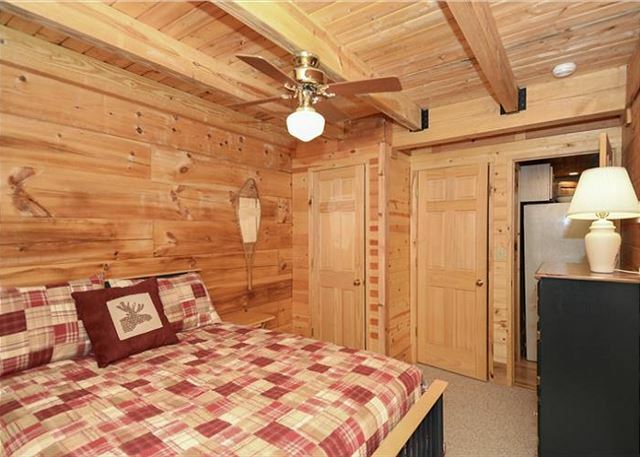 The cabin is clean and offers plenty of space to socialize, and numerous beds to sleep. The fireplace and hot tub are great. Even the coffee maker (after I cleaned it out) and the dishwasher work well. Linens and kitchen utensils/dishes are provided. The only downfall is that you are asked to empty your trash, but there is no available dumpster to do so. 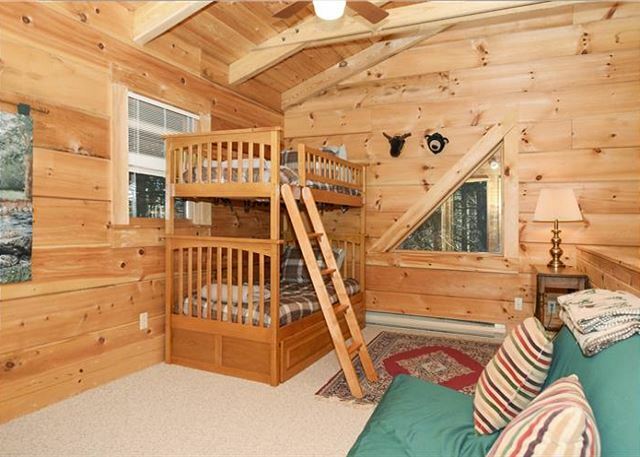 This cabin is so cute! Just secluded enough to have a nice winter weekend getaway. 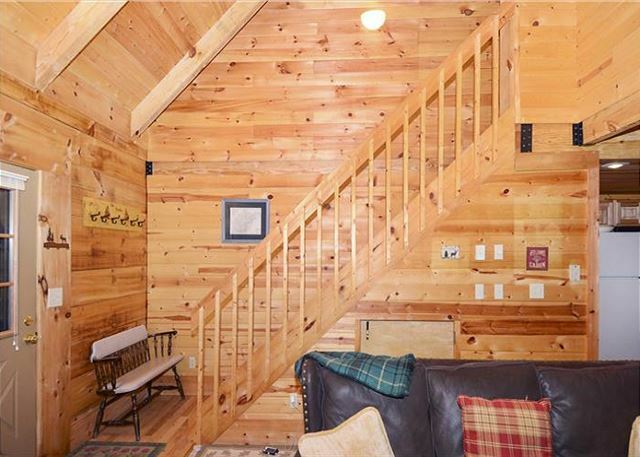 It's close to Canaan Valley and Timberline ski resorts, hiking, and the town of Davis. We decided to get away over the Labor Day holiday. I called Best of Canaan and discussed our needs and dislikes. She quickly sent me all my options for what we were looking for. When we checked in she was very helpful and so nice. The cabin very cozy and extremely clean. It has everything you need. When we checked out she was so nice and made sure we were happy and had no problems. I will call Best of Canaan again. We stayed here while mountain biking and hiking the area, this place was located right in the middle of everything. Beautiful inside, had everything you need inside including a washer/dryer with detergent. Will stay here again next year! Cabin was great! Clean and so comfortable after a day of skiing. Only complaint is that the directions and number location on the map did not match the number on the actual cabin making it very difficult to find in the dark. This was the perfect place to stay for a ski weekend. Plenty of room to give us some quiet space from the kids. Yet a warm fire and hot tub to bring us all together. 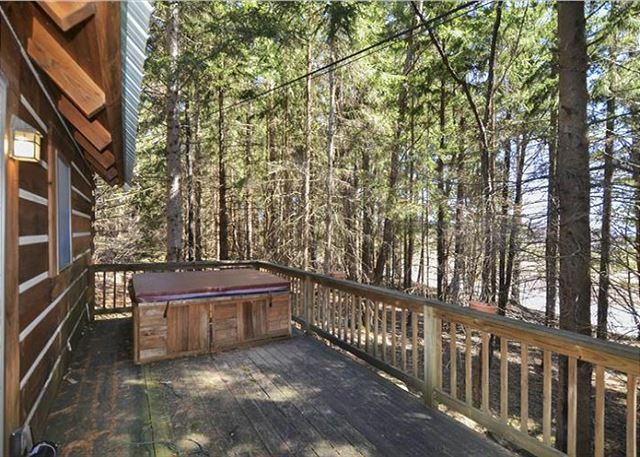 nice little cabin, easily accessable, wonderful hot tub. the only complaint would be the lovely cuisinart coffee maker was malfunctioning and made slow pots of mud on the self clean cycle despite all attempts to change the setting. Thanks for taking time to share your thoughts. In the future please don't hesitate to phone the office for problems...even if they are small appliance issues. We keep items like coffee makers in stock and available should a problem arise. The cabin was everything we anticipated it would be. I'm a clean freak so that was high on the list of have to bes for me. The kitchen was well furnished. Not very private, but that wasn't what we needed this time of year. The cabin was in a great location to explore the natural beauty of West Virginia. A short drive to Black Water Falls, Dolly Sods, Seneca Rocks, and Spruce Knob. 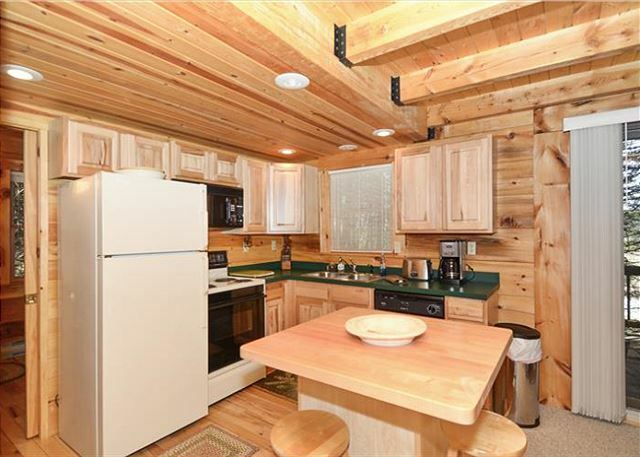 The cabin was immaculate and well stocked. The hot tub wasn't working. Repairmen came right out but did not have the part needed. Canaan Valley promptly refunded the hot tub fee. We really enjoyed our stay here! We had such a great time at Canaan over Memorial Day weekend! Best of Canaan was nothing but professional and prompt, and the cabin was beautiful. 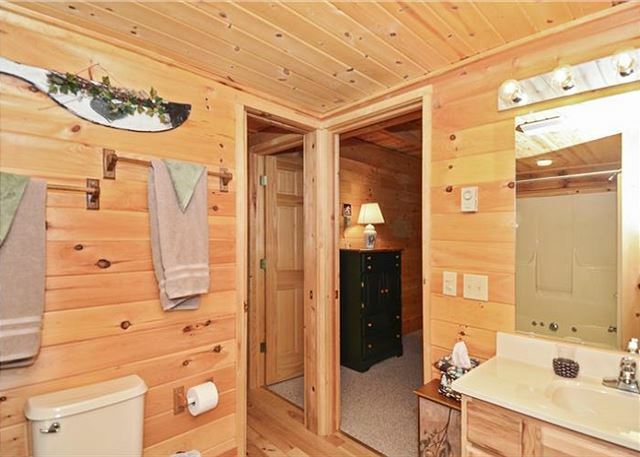 Everything was clean and the cabin was well-appointed with everyday needs like scissors, paper towels, etc--I've stayed in many rental cabins where this isn't the case. 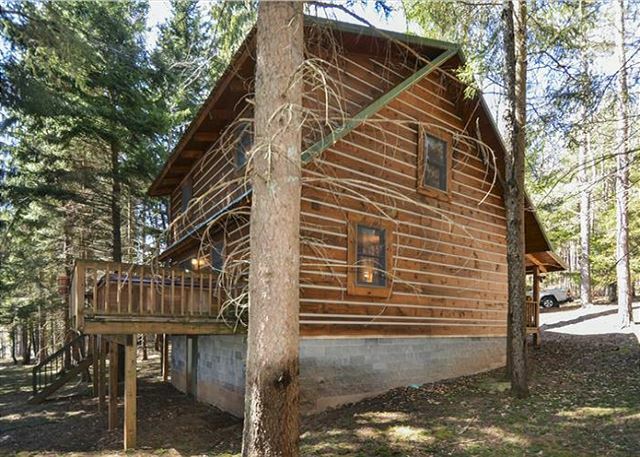 The only downside to this cabin is that it is near the road and sometimes if you are outside in the hot tub you can hear cars driving by, but if you are inside the cabin there is no traffic noise at all. 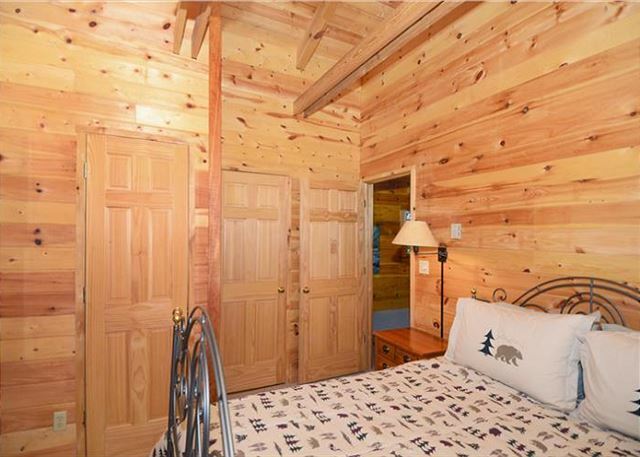 The road also comes with advantages, however--this cabin is less than 10 minutes away from Davis, which makes grocery shopping and going into town for dinner easy. 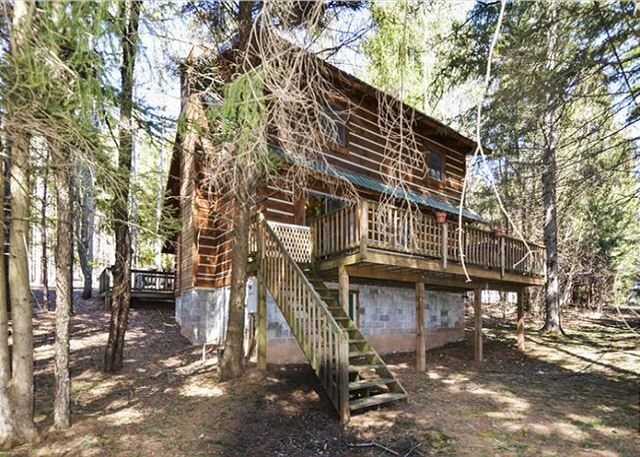 Overall a great cabin in a perfect location for exploring the surrounding area.